Product prices and availability are accurate as of 2019-04-20 23:55:55 UTC and are subject to change. Any price and availability information displayed on http://www.amazon.com/ at the time of purchase will apply to the purchase of this product. 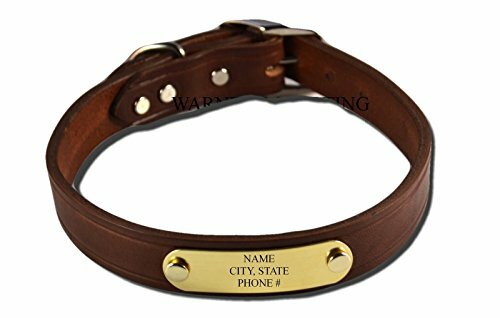 Warner Brand Cumberland Leather Dog Collar WITH FREE ENGRAVED BRASS ID TAG 19-21-23-25-27" collars come in Rich Brown - Black - Golden Tan. 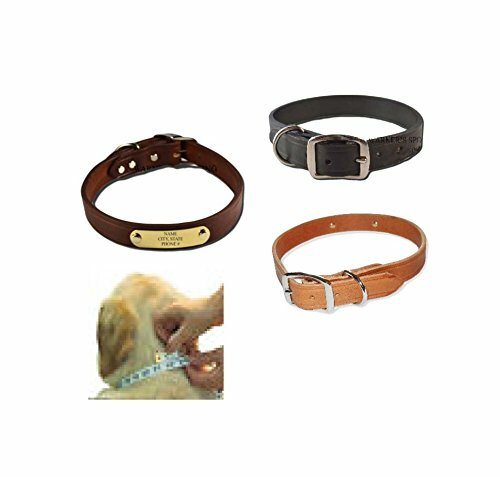 Made for medium to large dogs (1" wide) Collars are made with 1" wide heavy leather with nickel plated hardware. This Hand-Crafted collar is a regular collar with a nickel plated D-ring to connect leash. The more it is used, the more comfortable and natural feeling the leather becomes. These collars have 5 holes 1 inch apart. Try to match your dogs neck with the center hole. 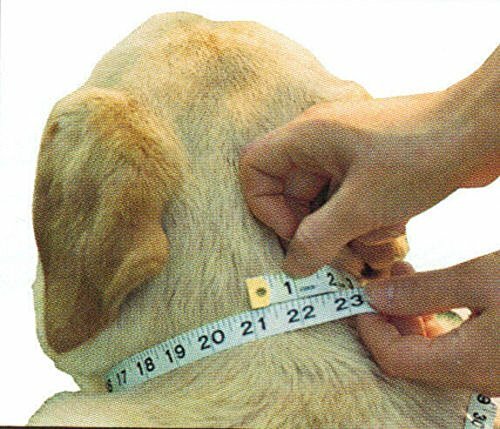 Measuring your dog's neck- We recommend using a length of string to measure the distance around your dog's neck this will give you the most accurate measurement. We do not recommend going by the length of your dog's old collar, because all brands of dog collars are made differently. Size Chart: 19" Fits 15-17 Neck 21" fits 16-19 Neck 23" fits 18-21 Neck 25" fits 20-23 Neck 27" fits 22-25 Neck. 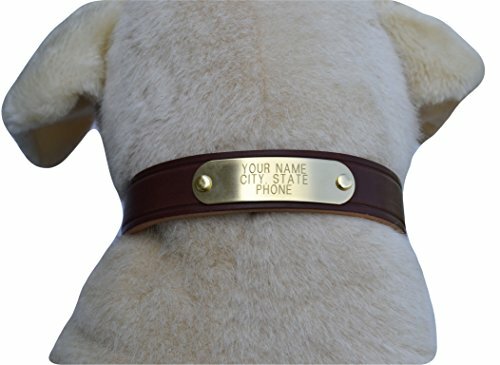 This collar comes with a free engraved brass ID tag RIVETED to the collar. Tag information is machined engraved into the 20 ga. brass tag with a clean easy to read font using our computerized tag engraving machine. Up to 22 Characters per line (including spaces), up to 3 lines. Tag Size: ¾" wide x 2 ¾" long (Brass). MADE IN USA This is a personalized item and there is a $5 re-stocking fee deducted from any returns and a $3 fee charged for exchanges to cover the shipping back to you.